The SEFF'18 opening ceremony will take place in the landmarked building of Trafostacja Sztuki in Szczecin – a unique culture facility, which this year received a distinction in the “adaptation of a historical building” category in the oldest and the most important competition in this field in Poland. The program includes meetings with the Jury and competition participants, with film experts Tomasz Raczek and Krzysztof Spór, a DJ set and the premiere of the American musical documentary “Original Motion Picture Soundtrack” directed by Chris McDaniel, about legendary soundtracks in cinema, narrated by Kevin Bacon, Billy Bob Thornton, Jon Cryer, Huey Lewis, Kenny Loggins, Corey Feldman, and others. The ceremony will be hosted by Radio Szczecin journalist Konrad Wojtyła. May good cinema begin! 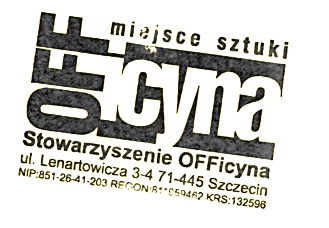 The Partner of the Opening Ceremony is Szczecińska Energetyka Cieplna, leading distributor of heat and electrical power vendor in Szczecin and in the region, namely in Barlinek, Dębno, Łobez, Myślibórz, Połczyn-Zdrój, Słubice and Strzelce Krajeńskie.